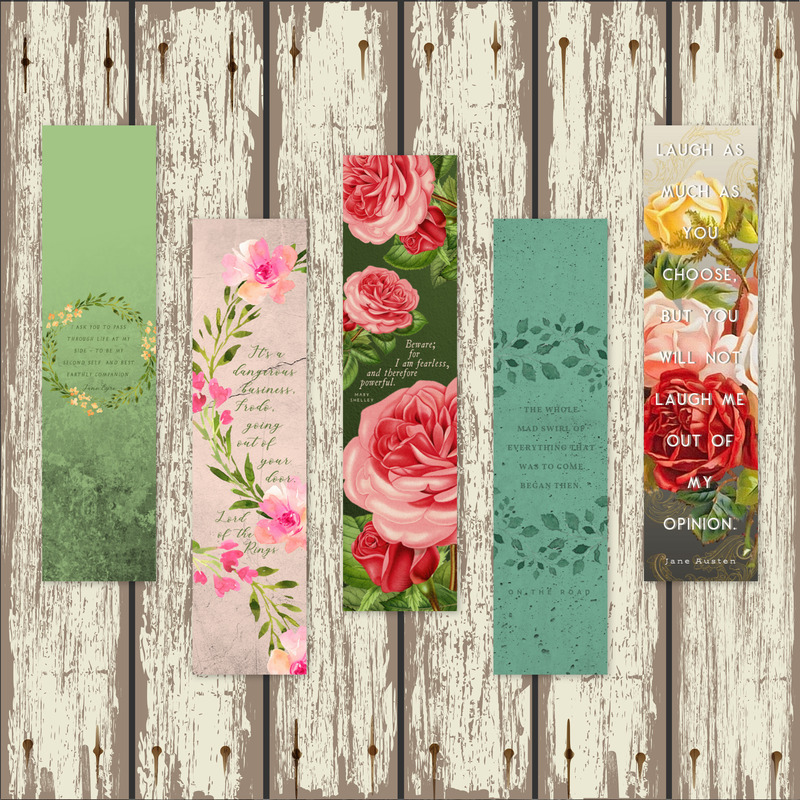 Floral Classics Collection | Choose between 5 classics-bookmarks. Features quotes from THE FELLOWSHIP OF THE RING, ON THE ROAD, JANE EYRE, and from other classic authors like Mary Shelley and Jane Austen. Can also be purchased as sets for $2 in savings, or as an entire collection for $6 in savings.